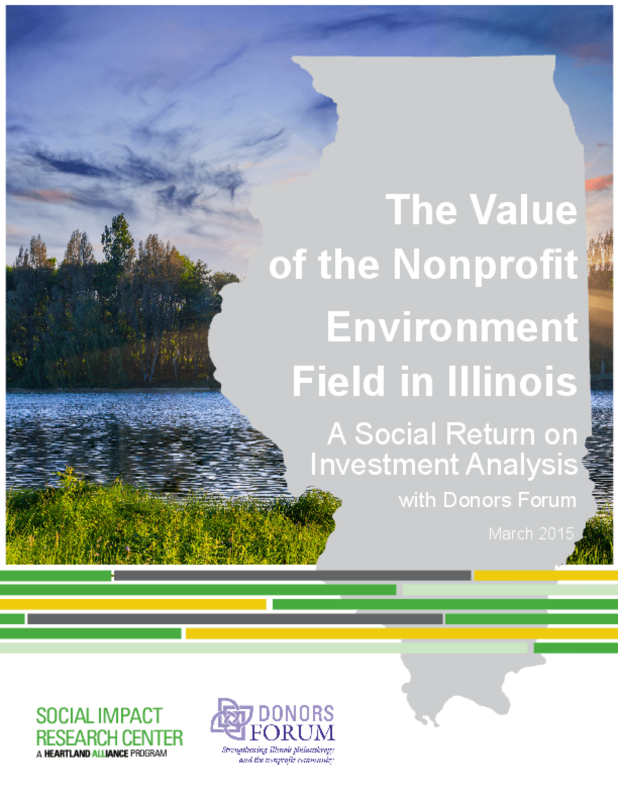 This Social Return on Investment (SROI) analysis compares the public and private investment into the Illinois nonprofit environment field to the social, environmental, and economic value it creates for people who live in Illinois and for society as a whole. What does this investment in Illinois's environment yield? Every dollar invested into the Illinois nonprofit environment field generates an estimated $58 in socio-environmental-economic value. $45 of this socio-environmental-economic value accrues to the people of Illinois. $13 of this socio-environmental-economic value accrues to society through increased tax revenue, increased spending in the state due to environment sector jobs, and avoided spending to treat costly environmental problems. The real utility of an SROI lies in its ability to reveal if and how our investments into programs pay off. And on that, this SROI of the nonprofit environment field in Illinois is clear: investing in the environment yields dividends.